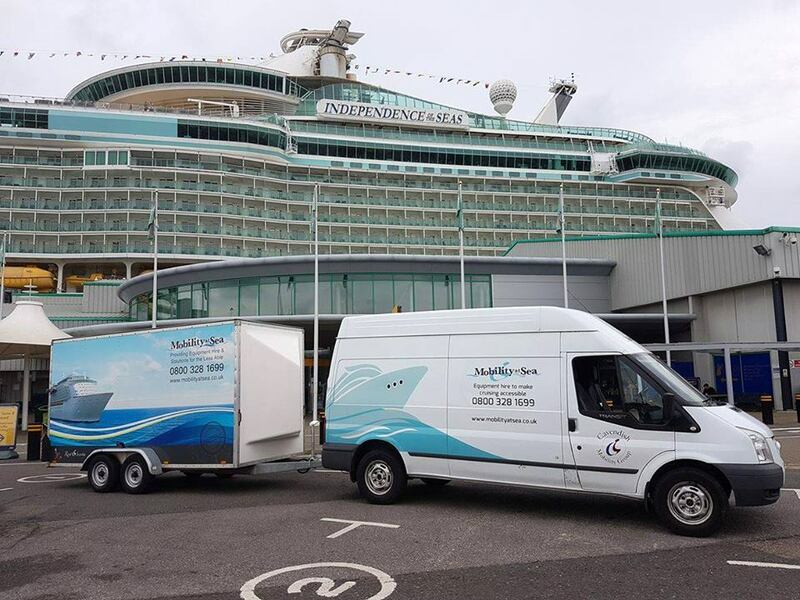 Our Sister company Mobility at Sea is the UK’s leading supplier of mobility equipment on cruise ships. On a regular basis, they are the preferred supplier to cruise lines such as P&O, Cunard, Royal Caribbean, Celebrity Cruises and many more. So whether you require a mobility scooter, powerchair, wheelchair, shower stool, bath lift or toilet raiser, Mobility at Sea will deliver the equipment direct to your cabin so it’s ready and waiting when you board. "Mobility at Sea provides a great service. The wheelchair for my mother made cruise life easier." If you’re going on holiday within the UK, our Renta Scoota network provides you with a reliable option to hire mobility equipment in selected areas of the UK. So, whether you need a comfortable mobility scooter to use at Marwell Zoo, a powerchair to check out the sights in London, or a powerchair for a hotel stay – we’ve got you covered. If you’re recovering from a long stay in hospital or broken bones from an accident and don’t particularly want to fork out for a mobility scooter, powerchair, wheelchair, or profiling bed then you can hire the mobility equipment you need for the length of time you require. "I would like to thank Alison and her team for their care and support during my bookings with Mobility at Sea which have helped to make my holidays more comfortable and enjoyable. I have been very impressed with their service and would happily recommend them to others." Let’s face it, when it comes to buying an expensive piece of mobility equipment, the most important thing is that you are comfortable, and it does what you want it to do. So why not hire that mobility scooter, powerchair or wheelchair before you decide to buy it. In the past, we’ve hired out mobility equipment to big organisations such as the BBC, NHS, Cunard, P&O, and many more. If you require more information please visit our website or call us on 0800-328-1699.